Electric cars are becoming a bigger concern for car companies every year; they’re designing more models and trying to gain public approval of their tiny, wacky designs. For the time being, it seems like most people have gotten used to the idea of hybrids, but fully electric cars still haven’t won everyone over. 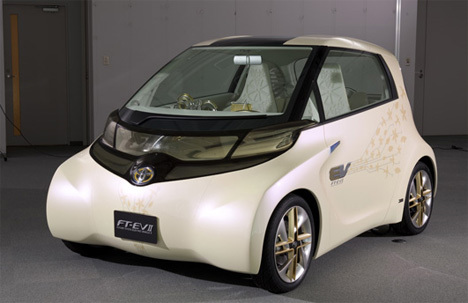 So to up the ante a bit, Toyota decided to more or less reinvent the layout of a car. 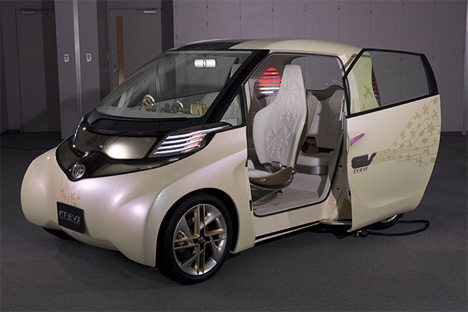 Their four-person FT-EV II was first unveiled at the Tokyo Auto Show in 2009, then brought to the US for the North American International Auto Show. Its exterior is pretty typical of what we’ve come to expect of electric car concepts, but the interior is just mind-boggling. 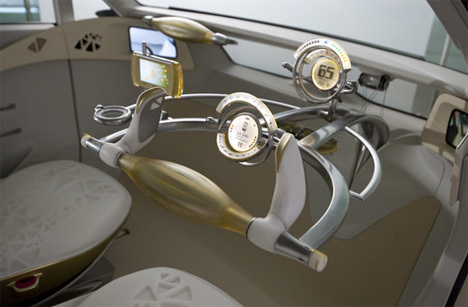 It does away with a traditional steering wheel, gas pedal and brake pedal; in their place is a crazy futuristic joystick system that bears more than a passing resemblance to spaceship controls. According to Toyota, the teeny-tiny vehicle is still able to carry four people because rearranging the driving controls frees up so much space. The car is meant for short-distance city driving, with a range of 56 miles and a top speed of 62 MPH. It has all kinds of other intriguing features, like a dye-sensitized solar panel and electric sliding doors. There’s no word yet on when it’ll be released, but sadly we’re guessing the spaceship controls won’t be a part of the actual production model. Drivers of Earth just aren’t ready to make the space-age leap yet.